The Mason Board of Visitors met for the first time during the 2017-2018 school year on Thursday, Oct. 12 in Merten Hall. 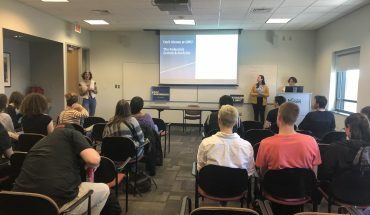 The meeting covered many important topics that affect students on campus, such as Title IX guidelines and DACA renewal for DREAMers, along with proposals for new classes and other changes at Mason in the near future. Title IX guidelines from the Department of Education are subject to change after Secretary Betsy DeVos spoke at Mason’s Arlington campus last month, but the Board of Visitors reiterated their dedication to preventing sexual assault on campus. The board will closely monitor any further changes to federal adjudication policies. The board restated their commitment to Mason’s community of more than 325 DREAMers in the wake of Attorney General Jeff Sessions’ deadline to phase out the Obama-era DACA program. This will include funding for a DACA renewal clinic to support first generation immigrant students in their efforts to stay at Mason. The board also announced that the university will expand their roster of online classes with five more courses in the coming year. This move was recommended by the board to keep the curriculum accessible to all Mason students. 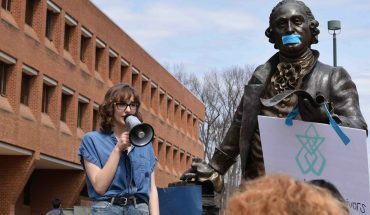 The meeting included a report that Mason admitted both its largest and most diverse class in history for the fall 2017 semester. Twenty-two percent of students attending this semester are from outside of Virginia, 50 percent identified as members of a minority group, and 38 percent are the first generation in their family to go to college. The current Dean of Humanities and Social Sciences, Deborah Boehm-Davis, is leaving at the end of this month. The Board of Visitors has started an ongoing process to hire her replacement by the fall of 2018. The board also raised the topic of fundraising measures, including naming opportunities on campus and working to increase federal funding. For example, the Robinson Hall construction project was delayed by a lack of federal funding, according to the board.